The Reserve Bank has confirmed that banks, business and investors must think about the economic impacts of climate change — and that is what it is doing in its monetary policy decisions. ‘Rate cut looms’? The RBA starts to shift ground on interest rates. The Reserve Bank has flagged it is already thinking about cutting, rather than raising, interest rates — a key observation in the wake of a significant reappraisal of our current economic performance. Febrile markets have misjudged the Reserve Bank's monetary policy priorities, Glenn Dyer and Bernard Keane write. Morrison made a good move on Glenn Stevens' replacement. According to the tone of two speeches by RBA officials today, the central bank is happy to keep the cash rate at 3% for the foreseeable future. Is another dollar-induced, Italian-inspired rate cut coming? 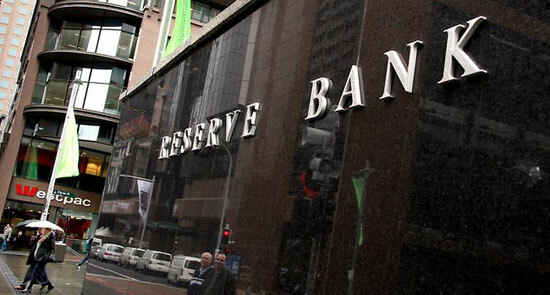 The Reserve Bank has flagged that there may be further interest rate cuts in response to the strong dollar. In the strongest possible terms, report Glenn Dyer and Bernard Keane. When I advised politicians there was always one no-no when it came to interviews.